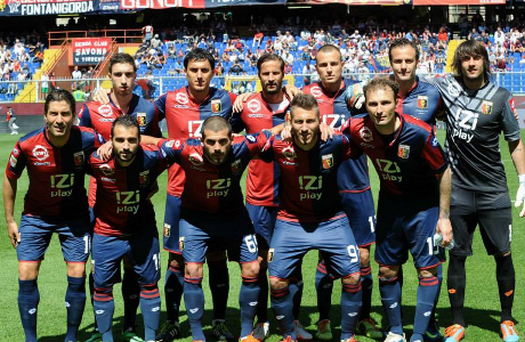 The last 2 seasons Genoa played very good in the last matches because there was the concrete danger of relegation to Serie B. This year Mr. Gasperini lead us to an easy position in the middle of the standings far arway of the relegationzone. Of course without the possibility of reaching European football and without the danger of relegation you still have to fight for every point. Genoa did fight against Bologna but not with the passion which usually makes us a very hard team to beat in our Luigi Ferraris stadium. On the other hand Bologna is in big relegationproblems and they need every point. The concurrents of Bologna did win their matches againt teams that just as Genoa have nothing to play for: Catania-Roma 4-1 and Fiorentina-Sassuolo 3-4. Comparing to these 2 matches Genoa played a descent match, but especially in Luigi Ferraris we expect more of our Rossoblu team. Next week we play in Reggio Emilia against Sassuolo another team that needs every point to stay in Serie A. With another draw Genoa does not influence the standings in a bad way like Roma and Fiorentina did. With a 1-1 draw in Bergamo the Gasp-boys now have 40 points in the standings. Number 18 in the standings Bologna has 28 points, so with 3 matches to play our team is 100% sure of playing next season for the 8th time in a row in Serie A. A record for our club since the 2nd World War. After first a shot of Bertolacci against the post 14 minutes later Genoa probably scored the best goal of the season. After a great combination of Fetfatzidis and Gilardino the ball went to Antonelli who gave a perfect cross back towards De Ceglie and his header was in the far corner: 0-1. At the beginning of the 2nd half Portanova was send away with a very dubious red car after a foul (?) 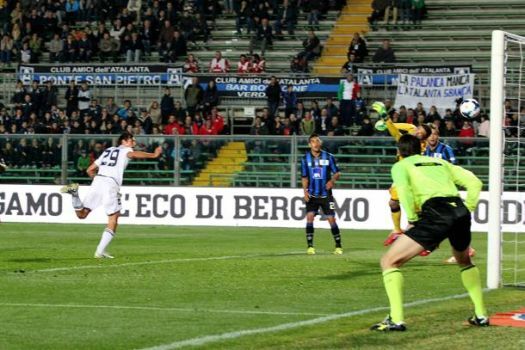 against Denis who also got a penalty that was stopped by Mattia Perin. As often the last time we took a goal in the last minutes. This time it was De Luca who scored, but clearly in an off-side position. Everybody saw it, except referee Peruzzo and his linesman.